A day before, he had met the PLA’s deputies and urged them to courageously assume their responsibility in safeguarding national sovereignty and interests. That sounds simple, but unfortunately for Mr Xi, ‘interests’ are no longer black and white as it were in Mao’s days. The issue of Ukraine/Crimea is a case in point. In the end of February, Western capitals were terribly outraged (or feigned to be outraged) when Russian troops started ‘exercises’ in the Crimean Peninsula of Ukraine. Before Moscow instigated a referendum to decide whether Crimea would join its destiny with Russia or not, Beijing was in a dilemma. Russia is China’s close friend and ally and President Xi even attended the opening of the Winter Olympics at Sochi to be seen with his Russian counterpart. History has never been black and white, and in the age of globalisation, it is even more so today. In January 1954, the Soviet leader Nikita Khrushchev, born in Russia near the Ukrainian border (and married to a Ukrainian), agreed to transfer Crimea to Russia. 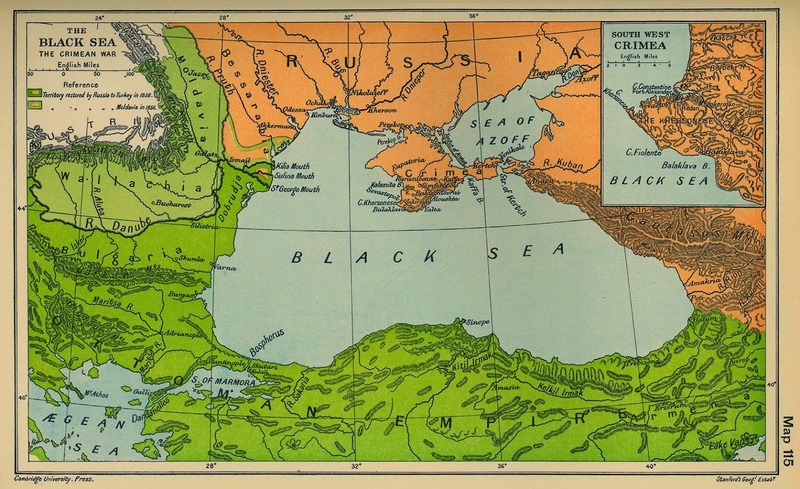 The Soviet leader, who had served as the Party Secretary in Ukraine, knew that by becoming part of the Ukrainian Socialist Republic, Crimean region would economically benefit from the hydro-electric potential of the Dnieper river. He did not foresee the forthcoming collapse of the Soviet Union, which then enjoyed two major ports on the Black Sea (Sevastopol and Odessa). They were strategically located for the defence of the then Soviet Union (and later Russia). Remember that in 2010, the deposed Ukrainian President Viktor Yanukovich signed an agreement with Russia extending the lease of the Sevastopol for use by the Russia’s Black Sea Fleet from 2017 to 2042, with the option of further extension till 2047. This was obviously not a good development for Washington and the Western capitals which probably dreamt of a ‘Europe from Atlantic to Ural’, as enunciated by General Charles de Gaulle in the early1960s. Today, Beijing is in an awkward position. For decades, Beijing invited top experts in key military technology fields from Ukraine to come and share their knowledge with China. One of the 3 ships sold by Ukraine to China in the 1990s was the aircraft carrier Varyag which has been rebuilt as the Liaoning, China’s first aircraft carrier which made headlines recently. In April 2010, the Press agency Interfax reported the signing of a contract with China to build high-speed hovercrafts, the Zubr-type, at the Morye shipyard in Feodosia. A $350 million contract for the construction of four high-speed amphibious hovercrafts was taken by Ukrainian arms trader Ukrspetsexport in 2009; two were to be built in Ukraine and two in China with Ukrainian ‘participation’. At the time of crisis like the one we are witnessing today, this is terribly complicating the situation for the Mandarins in Beijing. It is even more entangled. In an Op-ed in The South China Morning Post, Paul Letters explains that Crimea’s planned referendum has put Beijing in a quandary, whatever the result, and has raised fears about the idea spreading in the Middle Kingdom. Letters analyses: “Russia has taken us back to imperialism by occupying a neighboring country, but is Moscow’s support for a vote for Crimeans to determine their own destiny such a terrible idea? It is if you’re the Government of China.” Why? In the West, a referendum is used when it is convenient but today it is being denounced. Some of the Western media even referred to Hitler’s use of referenda to ratify the grabbing of new territories by the Reich. But it has extensively been used in the past. Remember, the French voted against their entry in the EU and had to revote ‘yes’ a few years later. For China, it is worse as a referendum could mean splitting the Motherland. If a country like Spain is against a vote to decide the future of the Catalan and Basque countries (Madrid is even against Scotland’s entry into the EU fearing that it would encourage the Basques and the Catalans to secede), in China it would mean that Tibet, Xinjiang or Inner Mongolia could rightly ask for a referendum for self-determination. Since the beginning of the Ukrainian crisis, Beijing has been walking on eggs. China’s Foreign Ministry Spokesman Qin Gang cleverly avoided a direct answer, he just said, “China has always upheld the principles of diplomacy and the fundamental norms of international relations.” Paul Letters said: “You could feel the Politburo squirming in their seats”. What about Hong Kong? A referendum is the last thing Beijing would like to see happening. Even if their State is known as the People’s Republic of China and their Parliament as the National People’s Congress, the less people put their nose in the State’s affairs, the better it is for the Party’s rule. Let’s not talk about the so-called minorities such as the Uyghurs or the Tibetans; nobody wants to know their opinion. Indeed, life is complicated for the apparatchiks in Beijing. It was easier a few decades ago, there was the Good (Communist China), the Bad (America and its ‘lackeys’) and sometimes the Ugly (the Soviet Revisionists). Today, everything is mixed up and it is difficult to untangle ideological interests, business interests, et al. This is perhaps, why Xing Guangcheng, Director of the Research Center for Chinese Borderland History and Geography at the Chinese Academy of Social Sciences talks of neutrality. He wrote: “Ukraine is located at the demarcation point between the EU and Russia. The best choice it could make is making no choice; it should choose neither the EU nor Russia.” Whether it is possible or not, is another question. Even if China decides to only lean softly on the Russian side, one could ask, what about India? Nobody probably, has the time to think on these issues in the South Block, elections are coming! NOTE-- Claude Arpi is a writer based in India. He often writes about Tibet, China and India as well as Asian and American politics. The above article is republished from niticentral.com.